Board index Bongo Fury Bargains! We are having a clear out of old stock and the following items are available at up to 50% off. 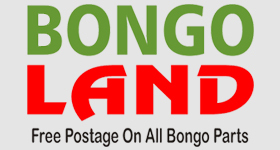 To order click the link through to the Bongoland Shop. I will add additional items over the next few days. Club members can use the current Coupon Code to receive a further 12.5% discount off the sale price. All prices include delivery and VAT. A1 Towbar From £99.50 https://bongoland.co.uk/product-categor ... or/page/2/ SOLD OUT! Eco Cool Box £54.50 https://bongoland.co.uk/product/outwell ... l-box-24l/ SOLD OUT! One Eco Cool Box just ordered. Too cheap not to go for one! Timing great for this years first few trips in my new Bongo! Now got self-inflating mattresses ordered and new 3-season sleeping bags so just about good to go. All Coolboxes and towbars now sold. But Milestone Pace and Tulsa Quick Erect awnings added. Now added an inner tent for an Easycamp Wimberly awning.